Please click this link to access the online ADP 2019 application form. Applications close on the 7 December 2018 and successful applicants will be notified by the 14 December 2018 via email. 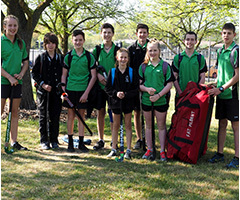 The Canberra High School Athlete development program has been established to assist talented student athletes to achieve the highest level of performance in their chosen sport and to help them with their persona and educational development. Reduce outside school training load giving more time to focus on study. Expose students to elite training techniques. Educate students about challenges they may face outside the sporting arena. Encourage students to take responsibility for their academic education. Support students academically who partake in a heavy load. Sessions are run using school facilities and Aranda Oval. This means that students only miss the class of their scheduled session and do not have to allow travel time to and from their sessions. This is unique to this program and means minimal disruption to students' academic timetables. Who is suited for the program? Anyone can apply who displays a keen interest in a sport and wants to continue their development. 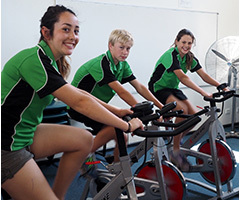 Existing Canberra High students must have satisfactory school attendance and consistently attend ADP sessions.They are also expected to maintain school grades and submit all school assignments.Finally the athlete's current level of sporting achievement will also be considered when selecting successful applicants. The program also caters for students who are doing excessive amounts of sport outside of school through The Program of Academic Excellence. The Program of Academic Excellence gives a study support line generally in the place of the students SHAPE line. During these periods are supported to complete assignments, homework or just study content taught in class. How does the Athlete Development Program work? Athletes attend coaching sessions delivered by a specialist coach during school hours. Sessions are run at Canberra High School and Aranda Oval to minimise the impact of coaching sessions on the athlete's studies. Sessions are scheduled so that they only affect each class 5 times per semester. Participants will be involved in a total of 20 coaching sessions throughout the year, consisting of ten sessions each semester. Each session is 1 hour. Teachers are aware of athletes' commitments and work with athletes to keep them up to date with their studies. If the athlete's sport is not offered they will be considered for placement in other programs. eg. an AFL player may be placed in Strength and Conditioning. Students will be subject to formal presentations once a semester from sporting stars or experts in the field. Athletes attend normal schooling until their scheduled session on line D.
The bell will ring to signal the end of line C and the start of line D.
The athletes will make their way to the school gym and get changed for their session. The coach marks attendance during the session to keep a record of who is attending. The athlete participates in the Futsal session until the bell rings to signal the end of line D and the start of recess. Athletes get changed and have recess, then continue their day as usual. Sessions run at Aranda Oval follow a similar format but involve travel time to and from the oval with the coach, which means sessions start earlier or finish later. The cost for ADP depends on the coach and the facilities the sport requires. Below is the list of sports being offered in 2016 along with the estimated cost and the location of sessions. The total cost is for the whole year which consists of 20 sessions. Invoices will be mailed/emailed to parents with details on how to pay. Payment must be made by the end of Week 2, Term 1, 2019. Payment plans are available, if there are any concerns regarding payment please contact the school or the ADP Coordinator. Maintain a grade average that is reflective of the students ability. If an athlete breaches any of these conditions the may be removed from the program. Please note that new applicants will be assessed by the coach and if he/she feels the athlete is not ready for the level of the group, the athlete will be advised personally and a phone call or letter will be sent home to the parents or guardians.